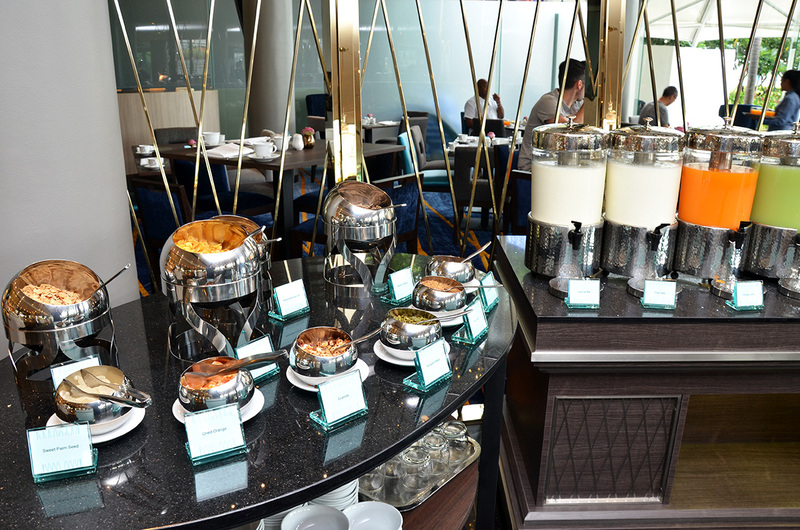 Many people consider breakfast as the most important meal of the day, perfectly setting you up for whatever the morning has in store, be it another gruelling day at work or enjoying shopping til you drop or taking in the myriad of sights and sounds of bustling Bangkok. 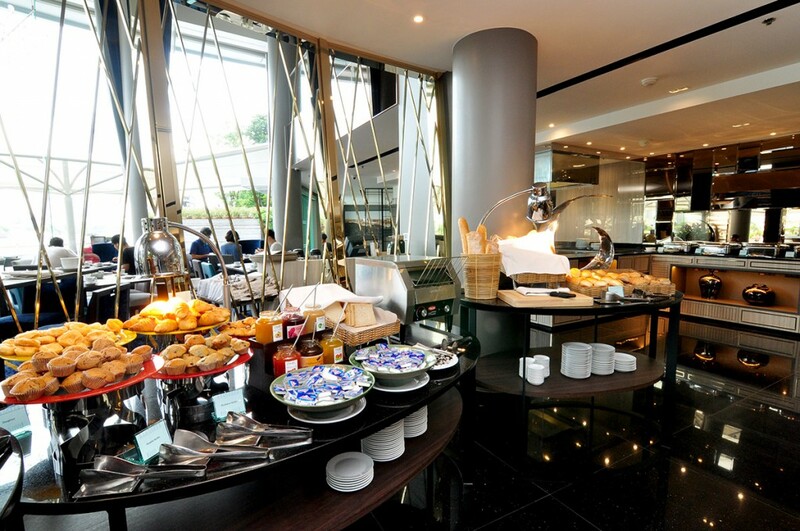 So why not start your day the right way with the sumptuous buffet breakfast spread in the sedate surroundings accompanied by the incomparable view of the River Barge Restaurant at Chatrium Hotel Riverside Bangkok. 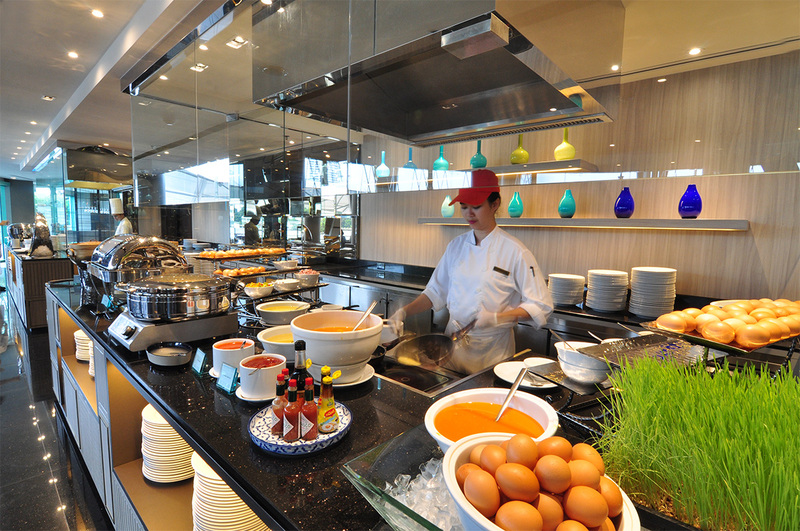 Located on the banks of the gently-flowing Chao Phraya River the recently-renovated River Barge offers a lavish range of local and international breakfast favourites guaranteed to please all tastes and palates. Executive Chef Andrew Brown and his culinary team have pulled out all the stops and created a multitude of choices made using only the freshest ingredients sourced from local vendors and reputable suppliers to make your start to the day absolutely perfect. 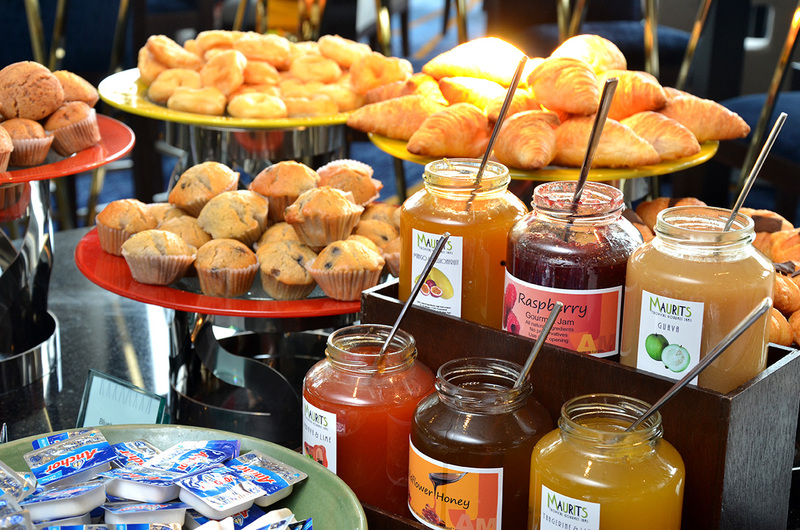 To begin with the River Barge’s selection of fresh smoothies, booster juices and fruit juices and cut fruits will wake up your taste buds before moving on to your favourite brekkie cereal or fresh fruit yoghurt. It’s then time to hit the cold cuts corner with a virtual smörgåsbord of international cheeses and meats plus a fresh sushi and salad counter with a choice of homemade dressings. They’ve even got Chef’s own recipe hummus and baba ganoush! On to the main course display where you’ll find a World Tour of delicious piping hot dishes including nasi goreng, miso soup, fresh dim sum, dahl makhani, chicken tikka masala, pork and chicken sausages, baked beans, hash browns, Canadian back bacon and a wide choice of Thai classics to name but a few plus an egg station with eggs prepared à la minute exactly how you like them. Cheese, onion, mushroom and bacon omelette? Certainly Sir! And don’t forget to try the noodle soup stall-absolutely fantastic! For those with a sweet tooth a stop at the pancake station is an absolute with French toast, waffles and pancakes with all the accompaniments available plus a heavenly homemade bread and butter pudding and Master Baker Chef Kongrit and his team invite you to sample their wonderful wares including freshly-baked batches of international breads, donuts and pastries. And with a price of only THB 650 net baht per person including unlimited tea and coffee what better way to greet the morning with a smile than at the River Barge’s International Buffet Breakfast? Available at the River Barge Restaurant, Chatrium Hotel Riverside Bangkok from 6 a.m. until 10.30 a.m.